Francesca Orsi is to take sole control of HBO’s drama department after it emerged David Levine is set to step down from his position. Levine joined the US cabler in 2009 as a consultant and was upped to director of HBO Entertainment later that year before being named VP of drama in 2011. 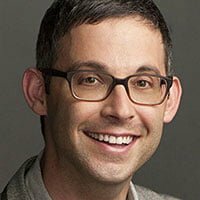 Both he and Orsi were promoted to senior VP of drama in 2014, taking up their roles as exec VPs and co-heads of drama in 2016 after a rejig that saw Casey Bloys promoted to president following the exits of Michael Ellenberg and Michael Lombardo. Levine, who had previously worked at US producer Mandalay Entertainment and Fuse Entertainment, is now set to return to production, according to US trade Deadline, which broke the news. Orsi, who has been with HBO since 2003, will now oversee the department on her own. “David has been a valued member of the HBO family for 10 years and worked on some of our finest shows,” Bloys said. Levine’s credits at HBO include True Detective, Game of Thrones, Westworld and True Blood.